Apparently patriotism and the beach go hand in hand. 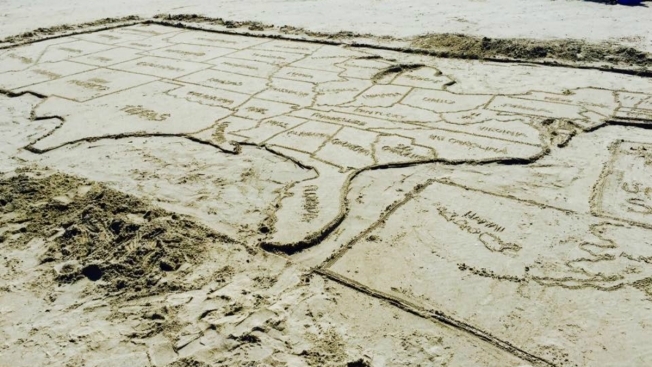 Police in Ogunquit, Maine, shared these photos on their Facebook page of a very large U.S. map in the sand. The artist of this beautiful masterpiece has been identified as J. James Mancuso of Make Maps Better. Jim is a teacher and librarian and is vacationing in town. He created the map Monday at Ogunquit Beach.